There’s way too much to discuss! I honestly had the hardest time choosing what to write about this week. I’ve had a couple of shows lined up that I feel deserve coverage, but then Rukmini Kallimachi’s brand new New York Times podcast Caliphate came out, and Gimlet Media went and dropped all episodes for two big projects on the same day and it threw my whole schedule for a loop. I don’t want to make these too lengthy, so I’ve limited the email to the two new Gimlet podcasts. 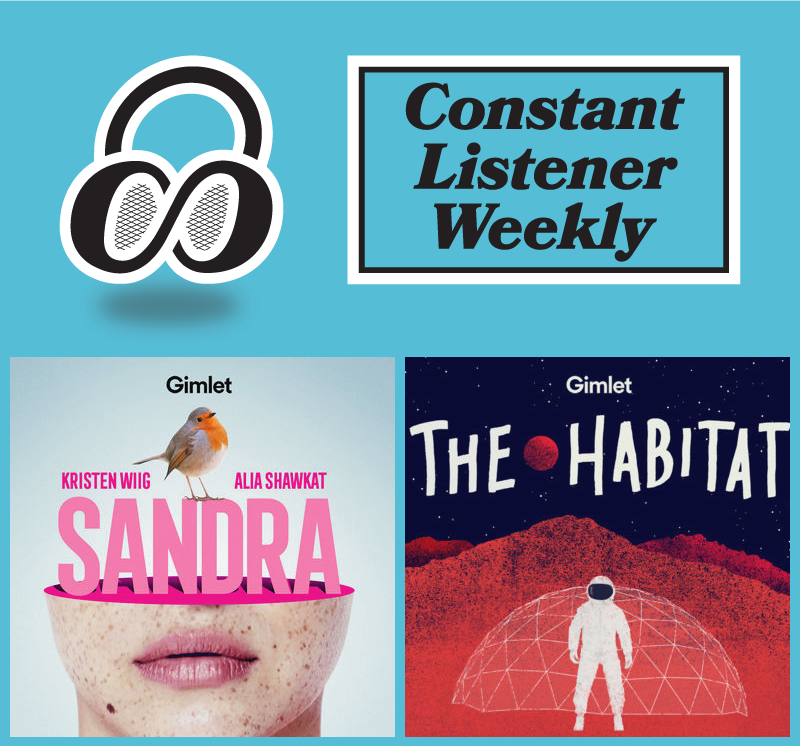 Gimlet Media’s latest scripted podcast, Sandra may be full of big names like Kristen Wiig, Alia Shawkat, and Ethan Hawke but the result is far from the blockbuster production that one might imagine given its pedigree. I take no pleasure in telling you that Gimlet’s new audio drama Sandra is something of a rather bewildering misfire. Across the series seven episodes one finds an airless comedy about artificial intelligence that wastes its premise, as well as the talents of its performers. For a show that’s focused on the all-too-real issues of creeping AI, it curiously has nothing to say about the subject. Instead, Sandra focuses on fictional company whose Alexa-like product (named Sandra) is actually powered by a workforce of humans answering queries, each assigned to a specific topic area. The audience’s entry into this world is through the eyes of Helen, voiced by Alia Shawkat (of Search Party and Arrested Development fame), who is a new hire into the company. The plot of the series is rather simple, that as Helen becomes more comfortable in her role, she begins to build something of a relationship with one of her clients, albeit through the guise of the titular AI assistant. The story isn’t nearly as Her as that makes it sound, (though Helen’s troubled customer is named Ted in a winking gesture), chiefly because it takes a third act turn into a sort of shabby Rear Window reimagining. What really surprised me first and foremost is that the program is just kind of desperately uninteresting. There isn’t much in the way of character development, leaving listeners searching for any element of authenticity to grasp onto. For instance, the series is set in the very real town of Guymon, Oklahoma, but this choice doesn’t add anything to the specificity of its story. Worse, it is subsequently used to laugh at the hick behavior of Helen’s husband and his entourage. Breaking one of the fundamental rules is comedy, the jokes punch down whenever they get a chance, treating just about every secondary character with off-putting disdain. Beyond that, the plot never really coalesces, focusing more on Helen and her marital woes than on the Sandra program and the extreme power abuses inherent in a world of non-anonymized interactions between end users and people masquerading as AI devices. Perhaps the creators’ greatest misstep is their handling of Wiig’s presence in the show. For a wonderfully malleable and expressive performer, she is instead cast as the voice of the eponymous AI. This means that her total contribution is reading banal, Alexa-light commands in a robotic monotone. Granted it’s a voice that Wiig nails, but it feels like a real missed opportunity in a series that could have used some more life. It’s altogether confounding considering the involvement of stars like Wiig, Shawkat, and an equally bizarrely-cast Ethan Hawke. Podcasts are constantly teetering between being taken seriously as an artistic medium and reductively being seen as niche content. 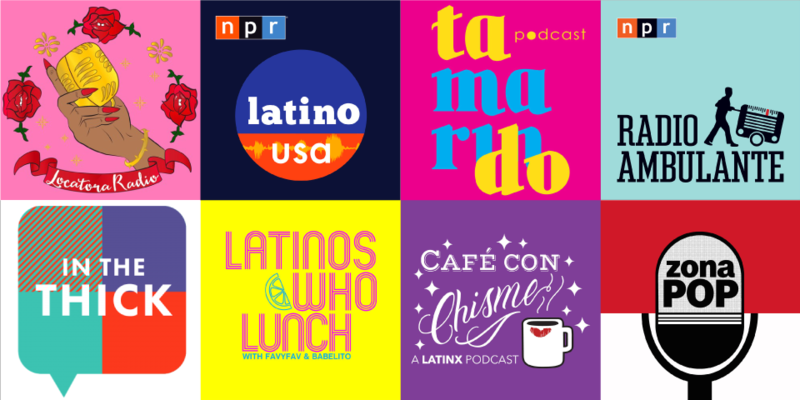 A show with this high level of visibility is sure to attract listeners who aren’t regular podcast consumers, but what they’ll find is something rather unremarkable and hardly emblematic of the medium writ large. Given my penchant for holistic reviewing, which is to say I consider every element of the listening experience, I found the series’ ad reads to be complete overkill. Every one has been written to feature some anthropomorphic AI, but they’re not connected to the overall narrative. They only serve to smother the listener in pre-, mid-, and post-roll slots with uninteresting fictional robotic interactions. I can see where they seemed like a good idea, but in practice they are a slog. Gimlet has long led the way in writing engaging ad copy that helps to deepen listener engagement, incentivizing away from the traditional behavior of immediately skipping ahead. This is perhaps why these ads stick out so egregiously. Dynamic ad insertion will allow for these to change over time, but within the launch window they only further weigh the program down. I will say this: since the series’ plot hints at a second season, I’d be very curious to see if and how its creators can get the show onto the right track. As always, I’d be happy to know what you think of the show, especially if you feel the total opposite about Sandra. Let me know your thoughts in the comments below. The week’s second big release from Gimlet is The Habitat, the true story of six strangers, picked to live in a bubble for a year, simulating a mission to Mars, and have their lives taped, to find out what happens when people stop being polite… and start getting real. The mark of a gifted documentary storyteller is the ability to spy depth in the mundane and ridiculous. It’s the reason that a film like S.R. Bindler’s Hands On A Hard Body has been able to endure as long as it has. It combines those two elements (a group of people trying to win a new truck simply by keeping their hand on it for longer than anyone else) and manages to paint an engrossing story about small town life in America and the absurd lengths that we’d go for our dreams. The story is so potent that it was later turned into a Tony Award-nominated musical, of all things. For reporter and producer Lynn Levy (of Radiolab fame) one such opportunity presented itself in 2015 with NASA’s HI-SEASmission. In order to prepare for an eventual manned mission to Mars, six individuals would undergo a year-long period of sequestration in a tiny dome atop a dormant Hawaiian volcano. The mission’s purpose was to simulate every circumstance that might face astronauts on the red planet, gathering data on how humans function within such confined quarters. Levy seized upon the chance to document this wild endeavor and provided audio recording equipment to the participants before they were sealed away. The result of those recordings was released this past week as The Habitat, a seven-part podcast series from Gimlet Media that dropped all episodes on the same day. Sometimes these opportunities can seem more exciting on their face than they end up being. While the series is engaging on a per-episode basis, I find that it doesn’t entirely stick the landing with regard to what it wants to say about the experiment. I get the sense that this is not really the fault of the production team however. Rather, it is a result of the unique scenario around which the show is based. Because of the limitations of the experiment, nearly all of the tape that Levy collected was self-reported. This audio diary format turns the tables on traditional audio production, giving more autonomy to the HI-SEAS crew, allowing them to only include that which they feel okay sending. It is this self-editing that turns things around and keeps the audio from being absolutely unguarded. The process of capturing good tape relies heavily on getting subjects to forget they’re being recorded, but on The Habitat this is rarely possible, unless the recorder has been left on for an extended period of time. Additionally, a yearlong period of isolation has only so much fruit to bear, especially considering that this is a group of professionally-minded individuals who hew quite closely to their expected path. All of that being said, I do think that Levy, along with producers Peter Bresnan and Megan Tan have been able to craft some very lovely episodes within the boundaries set by their resources. Perhaps the best thing that they provide is a sense of playfulness to their exploration of what life must been like within the habitat. This manifests itself in a number of inspired choices whether it is compressing the repetition of daily life in the habitat into a mesmerizing and nauseating audio collage, creating a wonderful bespoke doo-wop love song to underpin a rather veiled romantic declaration, or hiring a Morgan Freeman impersonator to narrate a segment after a crew member jokingly asks for it in their recording. As well, it should be noted that Levy and her team skillfully craft narratives for each episode, often weaving them into facts and anecdotes about NASA’s manned space missions. These help to add a depth and richness to moments in the lives of the crew that might sometimes seem rather picayune when divorced from the constraints of space exploration. These are among the series’ best, as they help to connect the mundanity of life in the habitat with that of actual astronaut life, deflating the glamorous picture that most people have of life in space. They also provide some of the more hilarious moments, like tape of Apollo crew members complaining about floating feces in the space capsule. I should say that there really is much to like about The Habitat. It is a podcast that has taken a huge risk and produced a run of engaging episodes full of optimistic humanity, where one can get wrapped up in the unbridled sense of space nerd wonder. Episodes feature spectacular sound design and scoring from Haley Shaw, and are larded with interesting stories of NASA history, and all end with a different artist’s cover of David Bowie’s “Space Oddity.” It’s just that, at the end of the whole series, I can’t help but feel like it was missing some x factor to pull it all together. For a story about a team of astronauts who never leave the Earth, it is curiously lacking gravity. Subscribe to The Habitat here. Ross Sutherland’s ability to craft exceptionally playful and engaging storytelling from a rather mundane interaction in his life made this episode of Imaginary Advice an easy choice for featuring on The A.V. Club last week. Few people are as skilled at turning moments of regret into transcendent, artistic works of storytelling as Ross Sutherland, host of the Imaginary Advice podcast. At the core of his latest episode Sutherland fixates on one so seemingly banal and insignificant it wouldn’t bear a second notice for anyone else, but for him the experience is fertile ground for investigation and self-examination. The facts of the story are simple: On one heartbroken night Sutherland went to a local supermarket to buy some beer, but was refused service because he lacked an ID. However, the wonders that Sutherland spins from such a pedestrian premise make this an electric piece of audio. 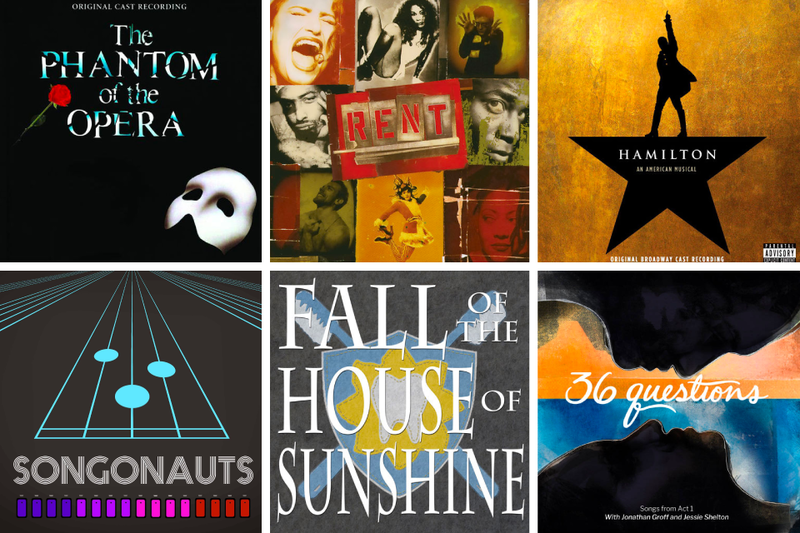 The story is retold seven times in seven very different and distinct genres. In that way it feels akin to David Mitchell’s fascinating and stylistically adventurous Booker Prize–nominated novel Cloud Atlas, allowing each new genre approach to highlight different aspects of the tale. Sutherland bounds playfully between disparate voices, from poetic rumination to a bank heist (there’s even a grime-rap retelling), all before culminating with an erudite, scholarly analysis of the story’s subtext and allusions. An engaging work from one of podcasting’s brightest lights.